The Georgia Bulldogs will return to Sanford Stadium for the first time since Sept. 29 when they take on the Ole Miss Rebels this Saturday. 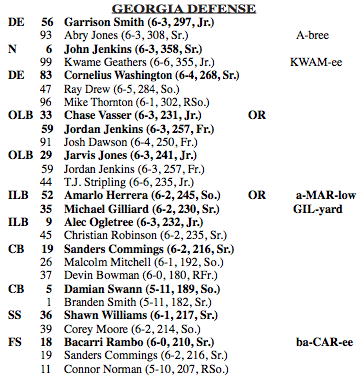 The team released the depth chart for this week’s game in preparation for the SEC battle. Athens Area Humane Society BLACKOUT!